How To Notes for Contributors. Your donation of the Ohio cemetery photos you have now or take in the future are needed to keep this project growing! We want all of your Ohio tombstone photographs. It doesn't matter if you took them because they were kin or if the stone simply caught your eye. We do ask that the engraving on the stone be readable in the donated print or image file. The photos must be yours, or written permission from the copyright holder must accompany them, with permission to publish. What information do you need to provide with your photographs? Supplying the county, township and cemetery name are critical, as there are so many like named cemeteries, this is the only way I can be sure to post and file them correctly. If you can provide additional driving directions to a cemetery, that's great, but not required. An accompanying text file (.txt or .doc preferred), with the name or names, dates, exact inscriptions, on the stone. Your name and e-mail address for the contributor's credit line. This is very important that you include your name and the cemetery name/county on each email, if I have to go back through old files to match your name to an email address, it really can slow down my work process. Location of the headstone (row/block/lot/plot). Not required, but helpful for others to find the stone in future. To get the required information to us simply add a note to your email with the attached image files or your US Postal Service letter with the prints along with any other details you want to add. How do you contribute your photographs? If you don't have access to a scanner or would rather have someone else do the work, please send an email, I will send my postal address, so copies of your tombstone prints along with the required information can be sent to me. When the scanned images are uploaded, your prints will be returned to you. I have recently moved my residence and this is a new email address for emails containing attachments. Please use the Records Submission Form, click here, this link will take you to a new submission page which will greatly speed up the time needed to get your submissions online. My email address is: ohiocempics@gmail.com Please use this addy to let me know images are on the way. Also, be sure to include your full name, address, and e-mail address on any correspondence. I am now set up to scan your negatives or your slides. Please remember to make note on the package that it contains photo negatives and warn the postal department folks not to xray package. I recently purchased a scanner, to do this for the project. Please ship images to my postal address and I will return them to you, after processing is complete. 1. Archives Records Submissions Forms, This method is recommended as it will require the least amount of formatting and make it possible for me to speed up the process of getting your donations online. 2. E-Mail - Attach the compressed image files to an email message to ohiocempics@gmail.com with a note providing the required information. If you chose this method be sure to read the email tips/limits section of this page! 3. US Postal Service - Copy your image files to a CD and mail it to the address provided in the Contributing Prints section above along with a note providing the required information and a listing of individual tombstone names vs image file name. Note: Many film developers now provide an image CD at nominal cost when your print or slide film is processed. Your CD will be returned to you after after I'm finished uploading, if you wish. I've had questions about sending a floppy, sorry, I no longer have a computer with floppy reader. 4. Internet - Upload your images to a temporary "public access" Internet directory you have upload permission for. After the files are uploaded, send an email to ohiocempics@gmail.com providing URL of the directory, the required cemetery information, and a listing of the individual tombstone names vs file names. (You can use also use this email address for correspondence. After I download and process the image files, you can remove the images from the temporary directory. 1. Prefer you send compressed images as email attachments. Your camera or scanner's native BMP or TIFF file are not compressed! Your digital camera image file may or may not be compressed depending on the camera and the options you choose. In either case, JPEG photo image compression is usually provided with the basic photo processing software package provided with your camera or scanner. I still receive many images exceeding 1mb and since changing to gmail, they no longer present an issue. for me to download. My goggle email account doesn't limit my inbox, so you can send large files now. Since I also store a copy of every email & attachment there until it's posted, just to protect it from accidental hardrive loss. please use the gmail address for sending images, takes lots of time to download and move to the safety of my external hardrive. So, please be patient with me. 2. Limit your email message attachments to small groups of photo images totaling less than 3 MB per message! One additional comment, if the images are not your personal photos, the photographer has copyrights, please include a letter or text stating the name of the photographer, with permission to use their photos and a means for us to contact the copyright holder to confirm. If you have a large number of photographs to send via email, please contact me first. I would prefer that you send them through the Archives Records Form but if you are having problems using this method, perhaps due to images being too large, then use( ohiocempics@gmail.com. Since I started using gmail, many issues of size have been solved. Image Size/Format: Remember the target media for your photo is display on a computer monitor. For most visitors, that monitor will have a viewable display area of 600x400 pixels. However the 600x400 pixel image size is only a rule of thumb! Many tombstone images (the flat V.A. markers come to mind) are quite readable in smaller display formats. Large stones with low contrast or small engraving (Woodsman of the World markers come to mind) are not readable on the monitor at twice the size. I have found the most effective way to deal with the large stones is to provide an overall view (with a reasonable display size) and a close-up view (or views) to provide the necessary detail of the engraving. File Size and Compression: When I process an image file, my target compressed file size is 50kb. Again that is only a rule of thumb. Some tombstone images are quite readable cropped and compressed to 15 kb. Other tombstone images with larger formats and more detail produce files as large as 150 kb after compression. We must also remember that the JPEG compression standard actually throws away photo information in the compression process. Applying too much compression results in an image with fuzzy text and blurred tombstone details. My personal rule of thumb for "normal" JPEG compression is about 15:1 and I change it as necessary. Scanner vs Display Resolution: This setting is expressed in dot per inch (dpi) for both media. If you accept your scanner software's default 72 dpi scan resolution for a 3.5 x 5 photograph to be displayed on a monitor, you will wind up with an image that is only about 350x240 pixels. On a horizontal image, this may be too small to clearly view, so up your dpi to 100 or 200.If the original photo was a close-up of a tombstone that had large engraving and few other details, that may be all the resolution that is needed. However, I have found that using 150-200 dpi for the scanner resolution usually provides a better starting point (a displayed image 750-1000 pixels wide before cropping). Your scanner software may provide a separate enlargement setting that can be used to adjust display size instead of changing the resolution. Small Stones: If the headstone image size is only a small part of the overall print size, scan only the immediate area around the headstone in the print and increase the resolution setting to provide the additional pixels needed for the display. If the headstone is only 2x1 inches in the original photograph, we can set the scanner resolution at 300 dpi, scan only the area with the headstone and produce a clear close-up headstone image that will almost fill the standard 640x480 computer display. Bottom Line: The more detail in the original scan (consistent with a reasonable compressed file size) the better. We can always throw out pixels that aren't needed in the final image. We can't add pixels without producing a fuzzy image. If your camera tends to produce underexposed images, (dark undefined) try using the flat side of white chalk rubbing it along the surface of stones. Blow off the residule chalk and then focus your digital camera. The results should be an improvement in contrast allowing better resolution to minute details of inscription. The chalk can then be removed by using a spay bottle and water, or simply left for the next rain to wash it away. One word of caution: do this only on sound memorials that are not prone to flaking surface issues. Another method that might improve dark underexposed images, commonly caused when phtographing on a shaded side of stone, is to set your camera on flash setting, this will slightly slow down the shutter speed, allowing longer time exposure and brightening up image.
" I would love to donate images, but don't understand the process. Can I just send photos? ans: Yes you can, but please be patient, photos alone, will have to be scanned into digital jpg. images. With out transcriptions, they are very time taking and the transcriptions are more important than images alone for genealogy purposes. Much better readings can be made from stone then from photo, in most instances. Your effort to transcribe the stones and include this data in the form of a text record is greatly appreciated. one last comment, PLEASE use regular text, not locked in upper case. I don't have ms2007, I'm still using the ole ms2003 word version, and can not read some of the newer text software, so save it to standard .txt or .doc files. I reserve the right to crop, resample and enhance the submitted photographs to help viewers read the inscriptions. Your name may be added to a credit line embedded in the contributed photograph. I do my best to change or improve the images, only to make them easier for researchers to read the inscriptions. You retain the copyright and publishing rights for your donated photographs except those noted here. This means that anyone viewing and wanting to use your images, for personal family research is permitted, but they must obtain your permission in order to use, including but not limited to use of your photo images for any circumstance, including books or online use. 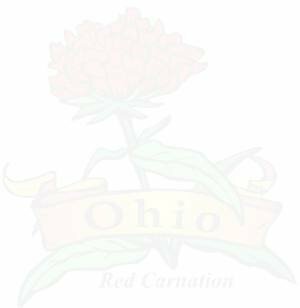 By donating, you grant the Ohio Tombstone Photo Project non-exclusive permanent publishing rights to your photographic work. The USGenWeb notice at the end of this page will be posted on the index page linked to your photographs.